During their nearly two-month-long visit, the delegation travelled to rural areas, pastures and various other places to talk to farmers and learn from Japanese technical staff. However, during the conversations they had with local staff, the continuous presence of Japanese County Hall officials made some of the interviewees feel uneasy. It was the true state of affairs at that time. One day we visited a chicken farmer in Aichi prefecture. He led us into a tatami room where Wang noticed a young man in work clothes in the courtyard. Wang greeted him and asked the young man to join them. The unexpected move made the staff of the County Hall nervous and confused. Then Wang asked, “Are you originally a member of this family?” The young man replied that he had come from Yamaguchi county to help farmers learn about new technology. Delighted by his words, Wang gently held the man’s hands and spoke with him. Seeing the calluses on his hands, Wang said, “These are truly the hands of a farmer. Keep up your good work!” The office staff and farmers around were now moved to tears by Wang’s remarks. Only a person from the working class would be capable of understanding them in such a way. It was very touching. In his investigation into Japanese agricultural practices, Wang was most interested in small tractors. He thought that such small agricultural machinery would be suitable for use on land in southern China. He asked the Japanese technicians to demonstrate its operation and then tried one himself. China did not have the ability to manufacture those kinds of tractors at the time, thus Wang decided immediately to buy one and bring it back to China. Apart from tractors, Wang also bought agricultural plastic film which he thought could be highly useful. 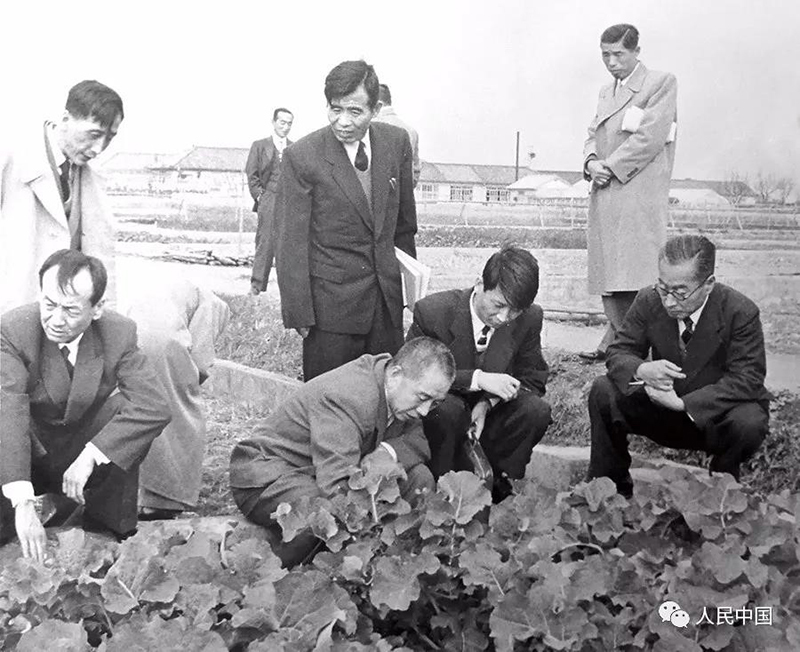 Δ The Chinese agriculture delegation inspecting an experimental agricultural field in Japan. Wang Zhen is second from left in the front row. Wang paid particular attention to different varieties of rice during his visits to northeastern Japan and Hokkaido. I think he was looking for varieties of rice that could be suitable for colder parts of China. He carefully inquired not just about rice production but also rice lodging, cold resistance and other important factors. In the end, the delegation purchased a wide range of quality rice varieties as recommended by their Japanese friends. A variety of Chinese rice that would later become famous, “Nongken No. 5 (Reclamation No.5)”, was bred through the rice Wang and his team purchased in Japan. After returning home, Wang reported to Chairman Mao about his investigation. He had planned to conclude his report within about 30 minutes but Chairman Mao asked about a wide range of details, and it took Wang much longer to deliver his report. During the visit, Yuanyo Shinfo, a member of the discussion committee of Asahi Shimbun, was among the Japanese staff who accompanied Wang to various places. 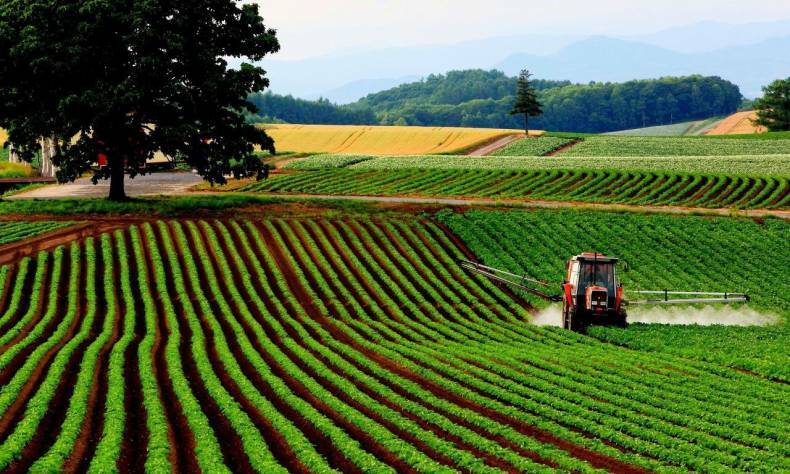 Yuanyo Shinfo had been delivering agricultural reports for many years and had a deep understanding of agriculture in Japan as well as the Japanese Agriculture, Forestry and Fisheries Ministry. As the U.S. government blocked and isolated China and the Japanese government led by Kishi Nobusuke adopted a hostile policy toward China, there was not any contact between China and Japan. Under such circumstances, the success of the visit to Japan has been largely attributed to Yuanyo Shinfo’s help, in addition to private support from his his acquaintances in the Japanese Agriculture, Forestry and Fisheries Ministry. Wang expressed gratefulness to Yuanyo Shinfo from the bottom of his heart. Their friendship bridged the seas between them and lasted a lifetime. By Liu Dewen, expert in Japanese culture, journalist and translator.